Is Michael Brown the great lost genius of ’60s pop? Brown, the baby–faced composer and keyboardist for the Left Banke, wrote and arranged songs of such melodic grace and lyrical sophistication that, in some circles, he’s regarded as something of a Brian Wilson character, lost in his own melancholy and oblivious to everything but the music. 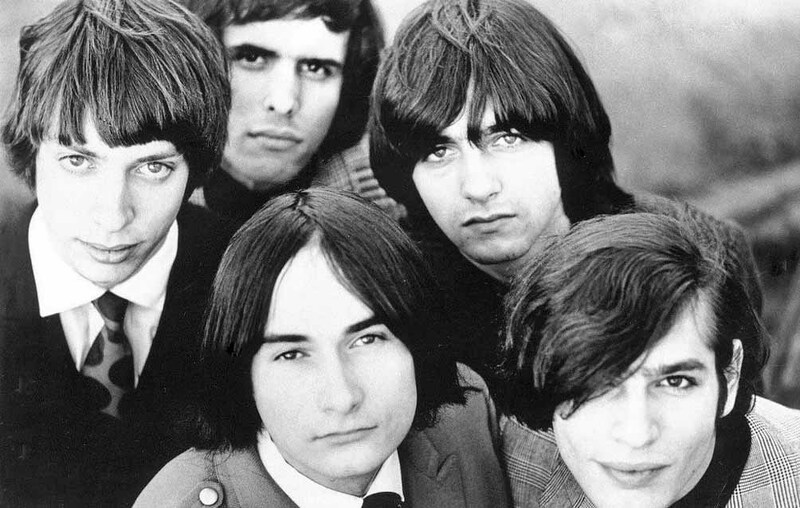 Forget for a moment the shimmering and sad Walk Away Renee, the Left Banke’s sole major hit. Put aside Pretty Ballerina, one of the most achingly beautiful songs to come out of American music’s pre–psychedelic era. She May Call You Up Tonight is a pop gem that the Raspberries could’ve taken to the top in their heyday. Barterers and Their Wives sounds like a dreamlike cross between the Byrds and the Monkees. And Desireenot only marries “Eleanor Rigby” with the Association, it has one of the best–utilized horn sections of any record from the era. But the Left Banke never achieved legendary status. After 1966’s “Walk Away Renee” (#5) and “Pretty Ballerina” (#15), the band continued hitless—and broke up after three years and several serious personnel changes. Granted it was difficult, in those fast–changing times, for a band that prominently featured harpsichord and chamber strings to get taken seriously by the rock ‘n’ roll public. The band’s slavish attention to sonic detail might have been its undoing. The Left Banke was formed in New York City by Brown, vocalist Steve Martin, bassist Tom Finn and drummer George Cameron. Martin, Finn and Cameron were accomplished harmony singers, and with the classically–trained Brown at the piano, worked out offbeat arrangements of Beatles, Zombies and Rolling Stones songs. Brown’s father, Harry Lookofsy, ran a recording studio and made demos of the fledgling band (joined by guitarist Jeff Whitfield, who’d be replaced down the road by Rick Brand). When the demos failed to attract any label interest, Michael Brown left for California. In his absence, the other members of the group added vocals to the completed backing track of “Walk Away Renee,” which Brown had written as an unrequited love letter to Finn’s girlfriend (both “Pretty Ballerina” and “She May Call You Up Tonight” were composed for her, too). The formula was set: Brown wrote the songs (sometimes in collaboration with the others), arranged them, Martin sang the leads, and Harry Lookofsky produced. It should have worked wonders for the Left Banke; however, as Brown grew weary of road work, and as the frustrating lack of a followup hit took its toll, the band members settled into a pattern of bickering, breaking up and coming back together in slightly different configurations. This would continue until November of 1969 when the band, weary of one single after another getting no interest from radio or retailers, called it a day. Brown went on to greener pastures with the band Stories, and subsequently the Beckies. These recordings, however, prove that the Left Banke was unique and, indeed, visionary. Ahead of its time. (Written for Rhino Records in 2003).